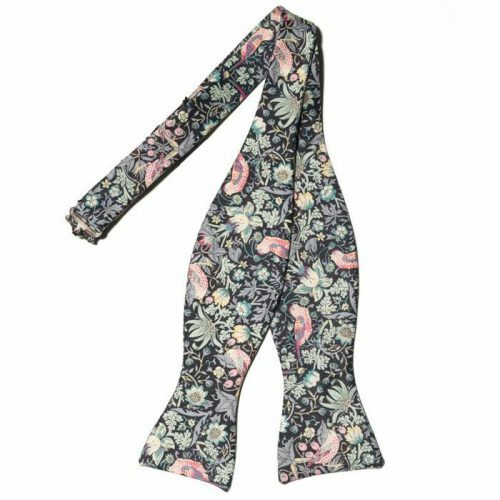 Andrea Dixon has an eye for style – that is obvious from the prints she chooses for her men’s ties, pocket squares and bow ties. She selects from the range of patterns offered by Liberty London in their quality cottons, wools and silks. Since some of the patterns are seasonal, these accessories may only be offered for a very limited time. While some patterns are bold and colourful, others are more subdued. This means you can choose items for very different occasions. Better yet, mix and match the patterns to come up with your own distinctive looks. 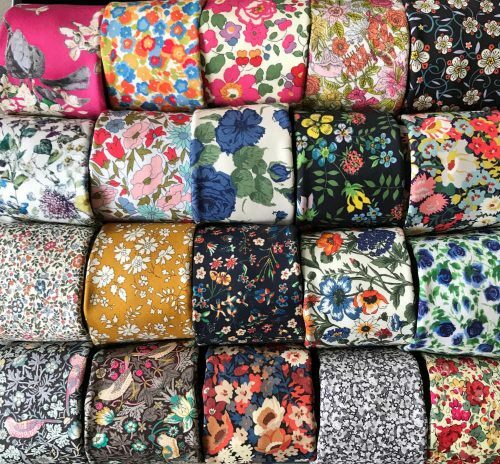 Liberty prints are made for Liberty London, a department store located in London England. The store was started back in 1875 by Arthur Lasenby Liberty who grew the business into what was considered the trendiest or most fashionable shop in London. He used British designers to create prints that were then manufactured in textile factories in Merton. The designs of the fabrics and fashions rivaled those of other European fashion centres. This reputation for fabric design continues to this day. Andrea works out of Toronto, making this yet another small local company we are supporting. Her products caught our eye last year, and we are pleased that she has agrees to make us the first Mississauga store to highlight her products. The bow ties are self tie – (shouldn’t every man know how to tie their own bow tie? – would James Bond wear a pre-tied?) and can adjust to a twenty-inch neck size. 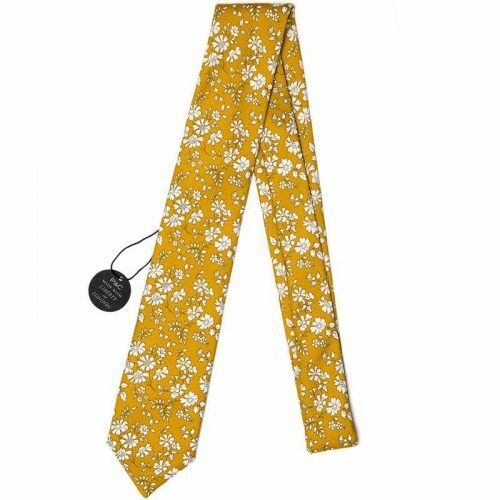 Regular ties are 2.75 inches wide at the end – perfect width that is always in style! And yes, these are self tie as well! The pocket squares are 15 inches by 15 inches. Later, we may add ascots, thin ties, matching cuff links and bow ties for boys from her selection.